Recipe: I couldn’t decide which recipe to post, so I picked both! Make sure to scroll down for #1 and #2. 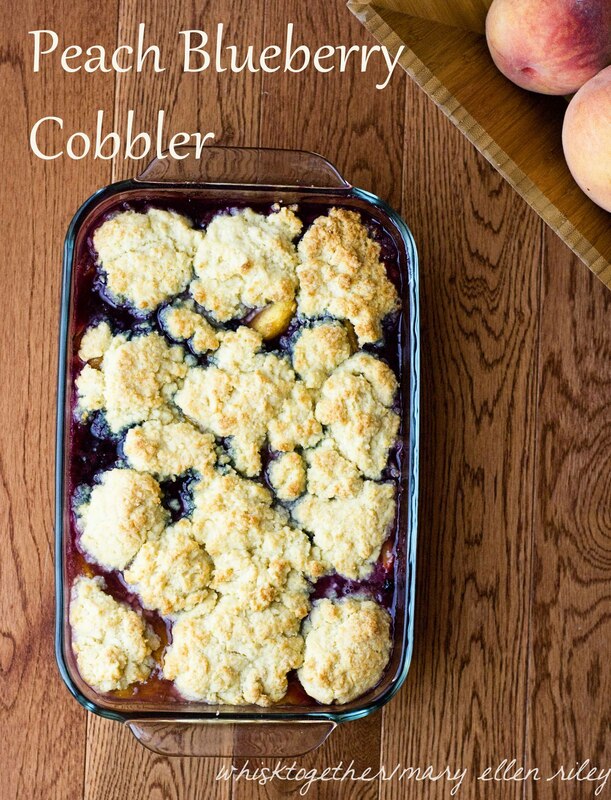 The cobbler on top of the peaches is more cake-like than pie like. If you like pie like, try Alton Brown’s version. Don’t have blueberries? Just add more peaches! Don’t have a casserole dish available? Use a cast iron skillet! Very rustic looking. Don’t like almond extract? Use vanilla or omit! 1. Preheat oven to 350. In a great big bowl, mix the dry filling ingredients: sugar, cinnamon, salt and cornstarch. Add the fruit and juice. Toss. 2. Spray your 7×11 pan, or 2-3 qt. casserole dish. Or use a 10 or 12″ cast iron skillet. 3. Pour fruit mixture into pan. Bake for 15 minutes. 4. In a food processor, add your dry topping ingredients: flour, baking powder, baking soda, sugar and salt. Pulse a few times. Sprinkle the butter into the mixture and pulse until the dough looks like big crumbs. Drizzle in buttermilk and pulse until a dough forms. 3-4 pulses. OR, if you do not have a food processor, simply take the dry ingredients and mix. 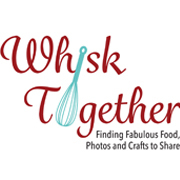 Sprinkle the butter and use your fingers or pastry cutter to make large crumbs. Drizzle in the buttermilk. 5. Using a spoon or your fingers, dot the top of the fruit with biscuit topping. Try not to go over 1/4-1/2″ thick. Cover most of the top. 6. Bake for another 30-40 minutes and the top should be a golden brown. I also like this recipe. The topping is not biscuit like, but mixed together like a peach cake/pie. 1 and 1/2 cups (10.5 oz.) sugar + 2 Tb. 4. In a medium bowl or food processor, mix the dry stuff: flour, 1 and 1/2 cups sugar, baking powder and salt. Add the wet stuff: milk and almond extract. 5. In a large bowl: mix peaches with 2 Tb. sugar and 1/2 tsp. almond extract. 6. Take the pan out of the oven since the butter should be melted by now. Add batter into the pan. Gently pour fruit onto the batter. Bake 45-50 minutes.